To provide a unique Tudor style finish, PVC Cladding stock a Black Ash range of Standard 18mm Fascia Boards. Most popular when replacing existing dark timber fascia, this range is also growing in popularity due to a number of architecturally designed new build projects which seek to create a stunning modern look by adhering to a two tone black and white finish. 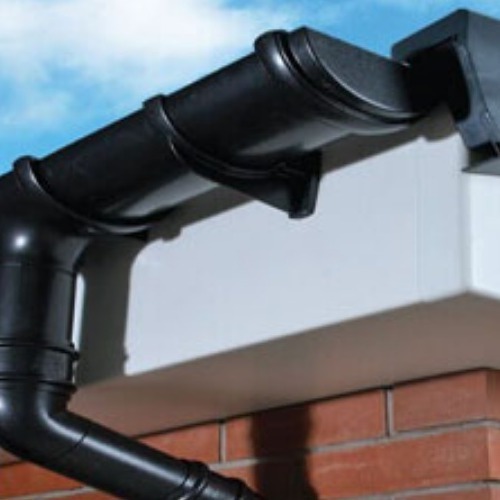 This range can be completed with our range of black soffit and a choice of PVC Guttering from our wide selection available.